Price Drop! Was: $69.99 Now: $43.99 . For a limited time only, while stocks last. Savor tastier filtered water and enjoy a healthy lifestyle with this LG refrigerator water filter. Engineering using the highest quality filtration technology, this LG LT1000P is dedicated to removing dangerous chemicals like chlorine, lead, mercury, cadmium and thallium which are lurking in your water. Certified to NSF/ANSI standards 42, this LG LT1000P replacement guarantees to reduce the potential sediments, contaminantsand heavy metals, providing you with safer and cleaner drinking water. 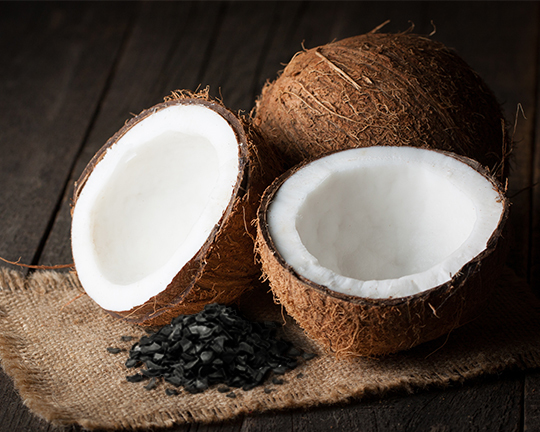 Adopting premium activated coconut carbon, this LG ADQ74793501 ensures to produce up to 200 gallons of water, enough to last for up to six months, depending on your consumption. Better still, this MDJ64844601 is designed to retain beneficial minerals which are good for your health. Shop now letting you and your family get the most out of your water. 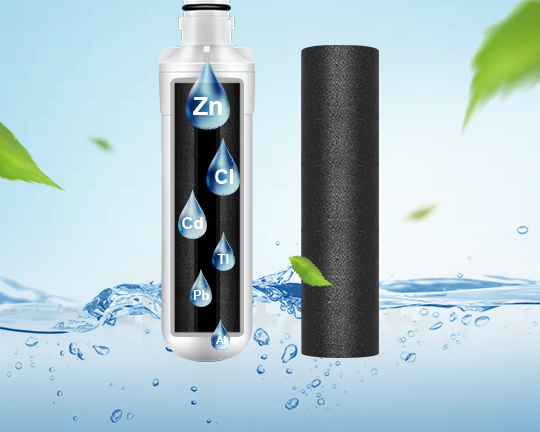 NSF Certified and NSF/ANSI standards 42: Our water filter works with activated carbon to reduce odor, chlorine taste, dirt, rust, turbidity, heavy mental and harmful sediments while keeping original minerals that are beneficial to human health. 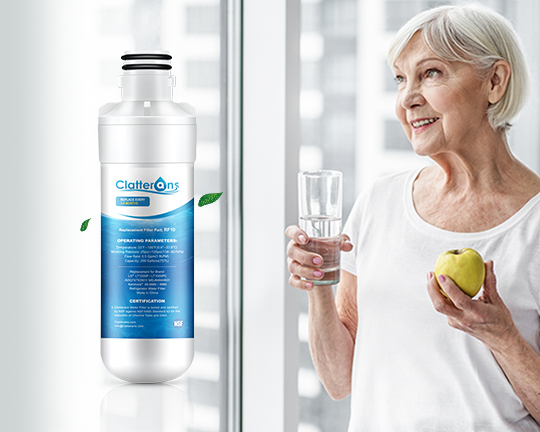 Clatterans Water Filters uses state-of-the-art technology to help remove Chlorine, Lead, Mercury, Cadmium, and Thallium. 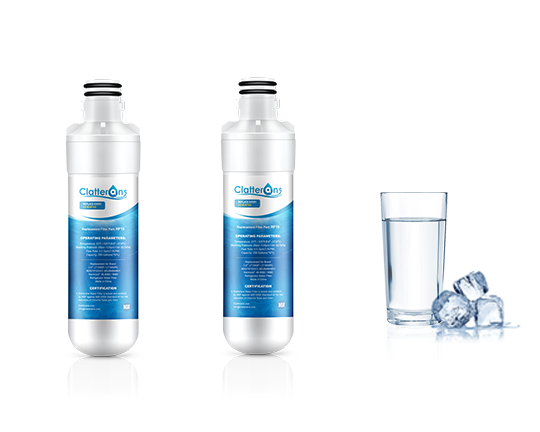 Six months water filter service life: The real filter lifespan depends on water quality and level of contaminants, but for best filtration results, please replace filter every 6 months or 200 gallons to maximize contaminant reduction. 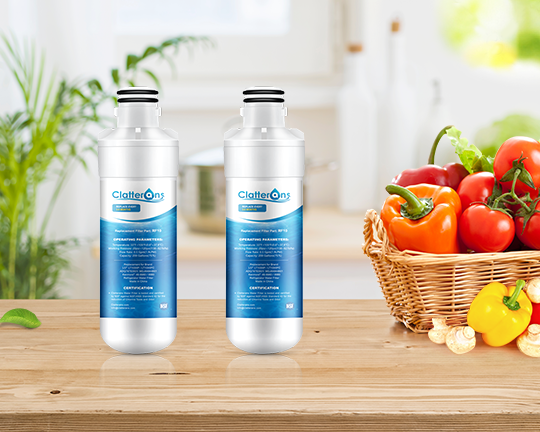 Easy and fast filter replacement: No tools or water shut off needed to replace cartridge inside the refrigerator and it only takes a few minutes or even less than one minute to finish installation. 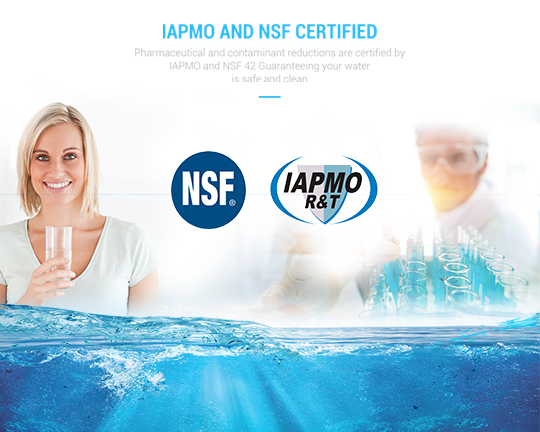 For your peace of mind, our LG LT1000P Filters with up to 6-month longer life are quality approved by IAPMO and NSF to serve you cleaner, fresher, better-tasting and wholesome water. I have owned several fridges with filters. This is by far the cheapest and easiest to replace. Just line it up, then push and twist. Initially, be sure to run two or three gallons through to get the dust out. Works well and water tastes great. 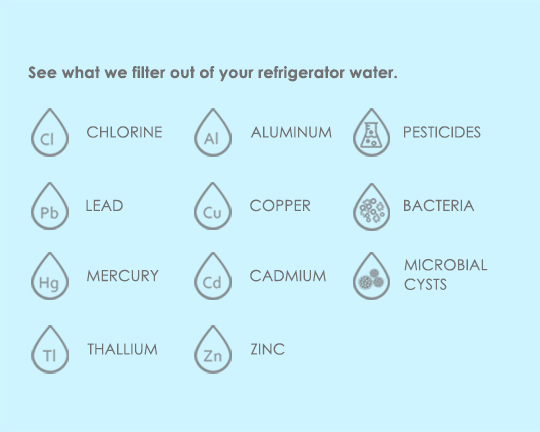 This water filter has truly saved a ton of time, energy and money associated with buying bottled water. My municipal water is decent, but does have a certain 'taste'. The water coming through our LG fridge with this lt1000p has almost no taste, so I can tell the filter is doing something. And I bought this one after I returned three other ones to Home Depot because they were not compatible. Just what I needed to replace LG refrigerator water filter. Fits perfect. It was easy to replace in the LG refrigerator. And just what I needed to replace water filter. The store where I purchased refrigerator was in back order. Got it the next day. Will reorder again. 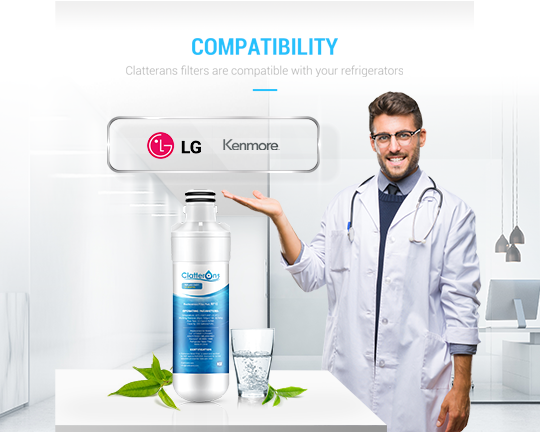 No choice if you have an LG refrigerator: you have to buy their filters! I replace mine every 6 months (it does get pricey) but live alone and have a water treatment system on my whole house, so only use water from the fridge to drink. I imagine if you are a family of 3-4 or more, you would need to replace every 2-3 months. It says it will filter about 200 gallons of water. You can tell your filter needs replacing when the flow starts getting narrower and slower. Very easy to install on my fridge. Just beware, upon removing the old filter, that it is full of water, so handle with care! The lt1000p water filter does work well, and that it really lasts (how long depends on how much water you run through it each day). I'm not a water snob, but I was in the habit of buying bottled water due to the convenience of not having to wash all the glasses and being able to take them in the car. But with this lg refrigerator water filter, I've found that I can use the same glass all day and still drink clean cool water.